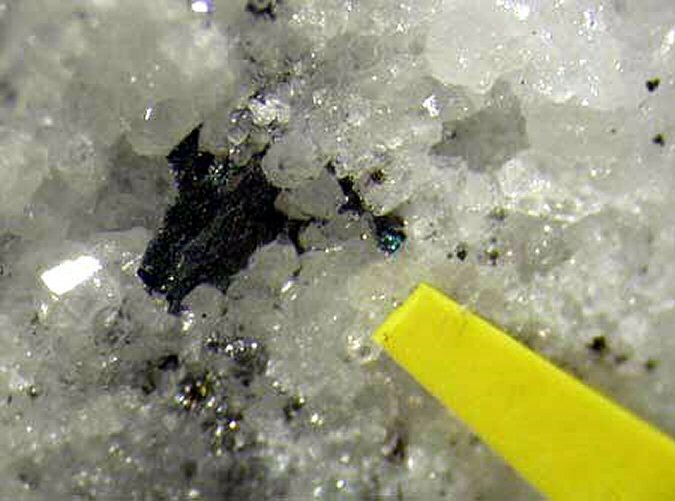 Comments: Gray-black billingsleyite crystals on matrix with famatinite, arsenopyrite. Location: Grube Clara, Oberwolfach, Schwarzwald, Germany. Scale: Picture size 1.0 x 0.6 cm.